Jeremy Mardis and Chris Few police shooting details emerge. 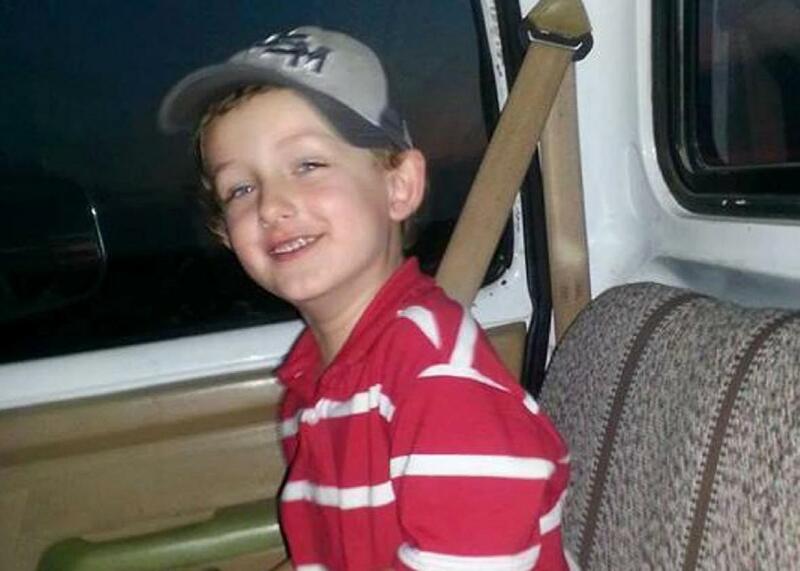 Disturbing new details have trickled out of the small rural municipality of Marksville, Louisiana, where a 6-year-old boy was shot dead on the night of Nov. 3 by two police officers who have since been charged with second-degree murder. A lawyer for the boy’s father, 25-year-old Chris Few, told reporters that body cam footage of the incident shows Few holding his hands up as the officers began shooting at his car. Few’s fiancée, meanwhile, said that before the incident, one of the officers, 23-year-old Norris Greenhouse Jr., had sent her messages on Facebook, and had come to the house where she lived with Few. “I told Chris and Chris confronted him about it and told him, ‘Next time you come to my house I’m going to hurt you,’” Dixon was quoted as saying in the New Orleans Advocate. According to Dixon, Few and Greenhouse are former high school classmates. Greenhouse and another officer, Derrick Stafford, were charged with second degree murder in the death of Few’s son, Jeremy Mardis, within approximately 72 hours of the incident. They were also charged with attempted murder in the shooting of Few, who is still recovering from wounds that resulted from the 18 rounds that were fired at him and his son. A judge set bail for each of the officers at $1 million. The Advocate reports that Greenhouse’s father is trying to use land that he owns in Avoyelles Parish to post a property bond for his son, and that he could be released as early as Thursday. Video footage of the incident was captured by a body camera worn by a third officer on the scene; it has not been made public, but according to Few’s lawyer, Mark Jeansonne, its contents were described in court at a bail hearing. After Jeansonne spoke to reporters about the video, the judge presiding over the case issued a gag order on everyone involved in the case, barring them from talking to the media. First-grader Jeremy Mardis, who was autistic, was buried on Monday, Nov. 9. According to Jeansonne, his father is in fair condition after being shot multiple times, but had not yet been told about his son’s death as of Tuesday morning. The case against Stafford and Greenhouse will be prosecuted by the office of Louisiana attorney general James D. “Buddy” Caldwell. Caldwell took on the case after the local district attorney, Charles Riddle III, recused himself, citing a conflict of interest in connection with Greenhouse’s father, who has been an assistant district attorney in Riddle’s office for 20 years and is the head of the major crimes unit there.